Militants of the terrorist group “ISIL” (banned in Russia), completely destroyed the ancient city Palmyra, according to Swedish journalists. With a hidden camera they have filmed a video that this pearl of antiquity and the World Heritage memorial was laid to waste. 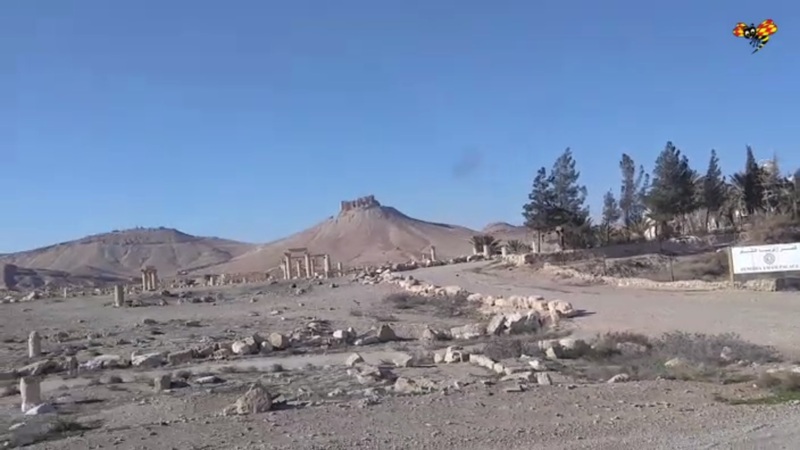 The famous view of Palmyra turned into a desert. The piles of stones are hard to recognize as the ancient monuments. Only few of columns remain intact. Bus with a hidden camera passed very close. It is impossible to openly film the video as militants are always around even if they do not appear on the video. The terrorists of the “Islamic state” (Organization banned in Russia) invaded Palmyra in May 2015. By that time scientists have managed to evacuate hundreds of historical artifacts – everything that could be taken out physically. The militants were convinced that lots of treasures were hidden in Palmyra. They tortured the custodian of the old city to find the treasures. When it became clear that the only remaining value is the architecture, they brutally executed the 82-year-old historian and blew up the monuments. This entry was posted in News from the Middle East and tagged ISIL, Palmyra, Syria. Bookmark the permalink.